It’s an age-old story. Artists and musicians discover a cheap neighborhood, settle in and create a hip vibe. Then the area gets gentrified and pushes that very group out. It’s happened in dozens of New York City neighborhoods from Soho to Dumbo to the Lower East Side and East Village. Now the LES and East Village have the second-highest number of condos in the pipeline when compared to all Manhattan neighborhoods, according to an analysis by The Real Deal, which looked at the pipeline — including both unsold units (minus in-contract properties) as well as units set to come online in the next few years. “It’s like somebody flipped the switch on the Lower East Side and the East Village,” said Robert Dankner, president of Prime Manhattan Residential. And whereas early developers in the neighborhood saw the benefit of being the only game in town, “that exclusivity or that one good choice is now seven good choices,” Dankner said. 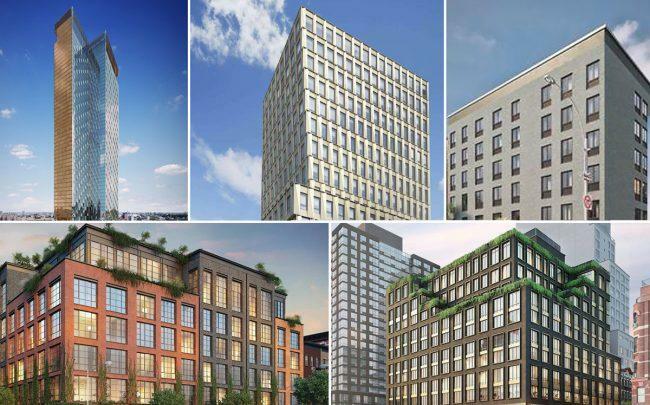 Between the East Village and the Lower East Side, there are 1,004 new units either on the market or in the pipeline. It should be noted, however, that its inventory count is significantly bolstered by one massive project: Extell Development’s 815-unit One Manhattan Square — the biggest condo development in Manhattan by unit count. But some argued that sweeping the glassy condo project, which sits at 252 South Street in the Two Bridges section, in with Lower East Side inventory doesn’t make sense. They argued that the tower — which is shooting for a $1.9 billion sellout — is simply not in competition with the other inventory there. “Nobody walks into our project with a Manhattan Square bag,” said Cogswell Lee Development Group President Arthur Stern, whose company is building 45 units at 150 Rivington. For its part, Extell reported in December that it had sold 15 percent of its units. And it’s going after a mostly Chinese clientele. But while that project may be the biggest — by far — there are a handful of significantly sized developments in the neighborhood. This glut of inventory may mean more options for buyers, but for developers it means more work. Against that backdrop, at least one developer pulled the plug a planned condo project: Ben Shaoul, president of Magnum Real Estate Group, just signed a contract to sell his unfinished, 81-unit project at 62 Avenue B — known as Liberty Toye — for $85 million to an unidentified buyer who plans to keep the project as a rental. Sources said Magnum plans to withdraw the $92.5 million offering plan it filed with the AG’s office in November, and will return deposits to buyers who went into contract. Shaoul declined to comment on the sale but dismissed the idea that there’s an oversupply on the Lower East Side. And Magnum is still developing one of the largest projects in the neighborhood, the 94-unit 196 Orchard Street. StreetEasy shows the developer had listed many units last year and has now taken them off the market. Other Lower East Side projects include the 55-unit 242 Broome — which Taconic Investment Partners, L+M and BFC Partners are building — and Steiner NYC’s 82-unit 438 East 12th Street, which is nearly sold out. Cogswell Lee’s Stern said that when the company acquired its Rivington site in 2015, it planned a small-to midsize project because it didn’t want to be sitting on the market for an extended time.